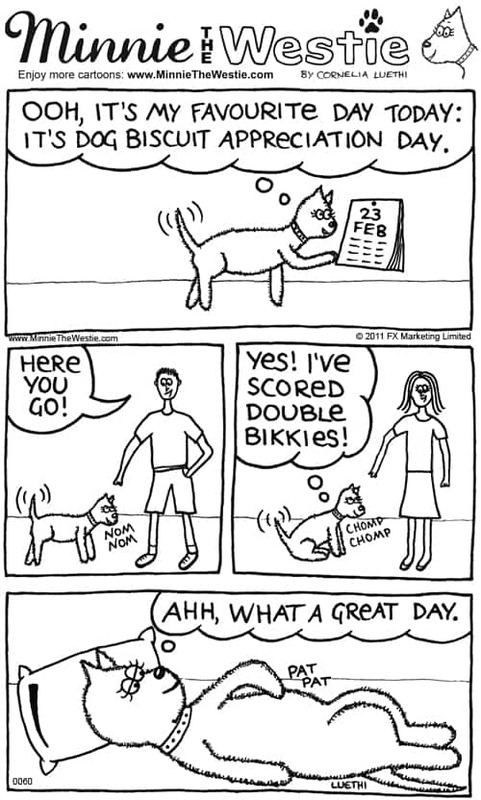 Westie cartoon: It’s Dog Biscuit Appreciation Day! OMD, it’s nearly my favourite day of the year… it’s Dog Biscuit Appreciation Day on 23rd February! Minnie’s top tip: Give your humans a lovely nose lick to reward their good behaviour. Training them in this way will encourage them to give you more noms!